Queen Elizabeths’ own Royal Lancers are the armored cavalry regiment of 12 Armored Infantry Brigade. 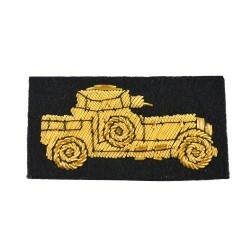 Their motto is ‘Death or Glory’ and their famous skull and crossbones cap badge is one of the most recognizable. 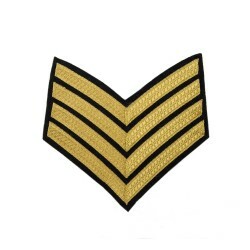 The regiment is located in North Yorkshire at Catterick Garrison. They have been active from the 2nd of May 2015 and they specialize in reconnaissance. The soldiers in the Royal Lancers are also trained to fight enemy combatants using a wide range of equipment. The equipment they use mainly include Sharpshooter rifles, machine guns, mortars and anti-task missiles. The Royal Lancers main role is to provide a continuous stream of accurate information to commanders so they can make tactical decisions. Although they have been active since 2015, their history stretches back more than 300 years. In 1715, the 9th and 12th Regiments of Dragoons were raised and the union of several historical lancer regiments. In 1993 The Queen’s Royal Lancers was formed and in 2015 the 9th/12th Royal Lancers and the Queen’s Royal Lancers joined to form The Royal Lancers. In 2017 the Queen granted the Regiment its title of ‘Queen Elizabeths’ Own’ meaning that their Colonel-in-Chief is HM The Queen. 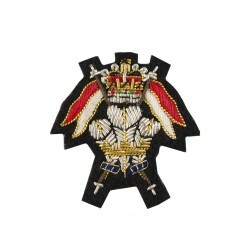 To view our range of The Royal Lancers products click here.